Integrated Learnings: eLearning: QR Codes – Short-Lived Fad or Long Term Solution? It seems like only yesterday that we began to see websites being posted for the first time on advertisements as the internet became more and more popular among advertisers and consumers. It got to the point that you were hard pressed to find advertising without a website associated with it. Jump several years into the future to today where we now carry the mobile internet in our pockets with our smartphones and tablets, and are never without the internet at our fingertips. Now, I sit down to enjoy my large coke at my favorite fast food establishment and low and behold, there is this strange looking image on my cup that allows me to pull out my smartphone, use the AT&T Code Scanner app (or other scanner app) to “grab” that code and go directly to a website where I can enter a code to win a free order of fries or simply browse their web page. This technology is known as a QR (Quick Response) code. Go ahead and try it out for yourself! 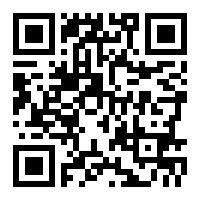 Below is a QR code that you can scan to jump directly to the Integrated Learnings website. You will need to download an app that can read QR codes – there are several free apps available for all the major cell phone operating systems (iOS, Android and Windows). The AT&T Code Scanner is available free of charge for all three. So, what do these QR codes have to do with learning? There are numerous ways that Instructional Designers and Trainers can take advantage of QR codes to enhance learning. It is as simple as creating the QR code (more on that in a bit) and downloading it as an image to be added to documents. Instructor-led Training – Picture a classroom without paper – not too much of a stretch in today’s learning environment – where your participants are using tablets for their interactive participant guides. QR codes can be imbedded into your PowerPoint presentation for instructor-led training and projected via the overhead projector. Using the tablet’s camera and downloadable scanner app, participants can obtain those participant guides and any other resources/job aids stored on a shared site or to be directed to a particular website to support the concepts being learned. Virtual Training – Same principles as Instructor Led training, but you will present the QR code via your Microsoft Live Meeting, Adobe Connect or other virtual classroom. It truly adds an element of interactivity to your virtual training. eLearning – In a web-based course, QR codes can be presented on your pages for easy scanning to access websites via a smartphone or tablet, or to obtain documents stored on a server. You can obviously link directly to websites with a link for the computer, but the QR code would be available for purposes when the document or site needs to be accessed via a mobile device. mLearning – QR codes would not be as widely used in an mLearning course as your learner would already be using a mobile device to access the training, so it would just be a matter of placing links in your material to go directly to the website or document. However, you would be able to use a QR code on the computer or printed material for that mobile device to scan and access the mLearning course itself. There are many different websites that allow you to build QR codes, and most of them are free. One such site is Kaywa.com. This site will allow you to create QR codes by simply entering the website address into a field and then downloading the code as an image file. You will need to establish a free account to use the site. However, performing an internet search for QR code generator will find many different websites that allow you to do the same thing. Once you download the image, it is simply a matter of adding the image to your documents for scanning. It seems to me that with the simplicity of creating and using QR code technology in learning that this technology is here to stay for the long-term. As we begin to move more into the area of paperless training and using technologies such as tablets and smartphones for use in partnership with training, QR codes will be a very beneficial solution to use. Have you had experiences with using QR codes in your training design & development? Feel free to share your experiences.